Samsung’s Galaxy S II has barely been launched and thanks to developer Chainfire of XDA-Developer fame, it has been rooted already for full file system access. As PocketNow reports, Superuser access is gained by using the Samsung flashing utility ‘Odin’ to flash the handset with a custom kernel. After a reboot Superuser access is available by using the ‘adb’ program which is part of the Android SDK. One downside to this process is the fact that the Root access isn’t permanent, though further steps should put that little hiccup right. Root access granted by this method is not permanent – it requires further steps such as the manual loading of su, busybox, and Superuser.apk to enable permanent superuser access. Notably, Chainfire was able to re-package this modified kernel by using methods effective on the Galaxy S series of devices, without an actual SGS II to develop/test with. 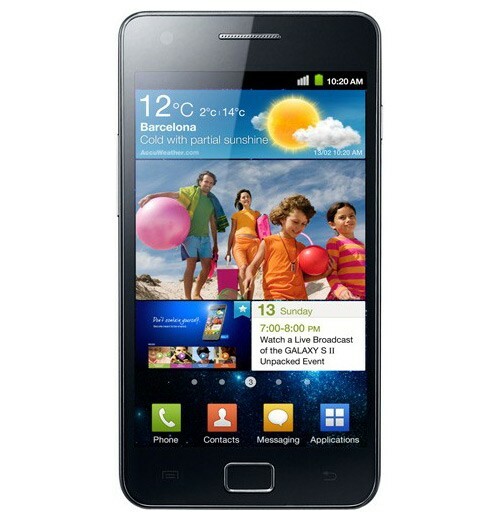 Samsung’s Galaxy S II is the eagerly awaited successor to the ever-popular Galaxy S (obviously enough) and is expected to be a popular handset amongst Android fans due to its impressive hardware specification and 4.3inch Super AMOLED Plus screen. Following is a guide on how to perform the root. It is rather easy if you know the drill from other Galaxy devices, but if you are a complete beginner with Samsung phones or Android in general, please read very closely! Try to remember what you do, as likely in the future you’ll be using ODIN more often, to flash custom kernels, custom/leaked firmwares, etc. – Using the attached Odin version, flash the attached XWKDD kernel as PDA. Do not use the PIT, do not have any options checked except for "Auto reboot" and "F. Reset Time"
– Use the "adb root" command to restart ADB in root mode, followed by "adb shell" to get a rooted shell; then you can manually push Superuser.apk / su, busybox, OR use SuperOneClick to finish the job for you. – If you do not have Samsung’s KIES 2.0 installed, download and install it. You need it to install the correct USB drivers, so the programs can communicate with the device. Reboot your computer after installation of KIES. – Make sure that in ODIN NOTHING is checked, except the "Auto reboot" and "F. Reset Time" checkboxes. Press the "PDA" button, and select the "XWKDD_insecure.tar" file. – Press "Start". ODIN you should now be flashing the kernel, and the device should reboot. – Wait until the device is rebooted, and while still being connected over USB, start SuperOneClick, and press ROOT.